Northern Illinois residents and organizations, including The Conservation Foundation, are rolling out the welcome mat for our imperiled pollinators, particularly Monarch butterflies, this year. We are so grateful to be the recipients of a $250,000 grant from the US Fish & Wildlife Service, which has allowed us to bring together 11 other local public and private agencies in an historic partnership called the Fox Valley Monarch Corridor Project. Together we are spending two years carrying out the Fox Valley Monarch Corridor Project, aimed at preserving and restoring existing monarch habitat, creating additional habitat and getting more milkweed on the landscape along the Fox River. 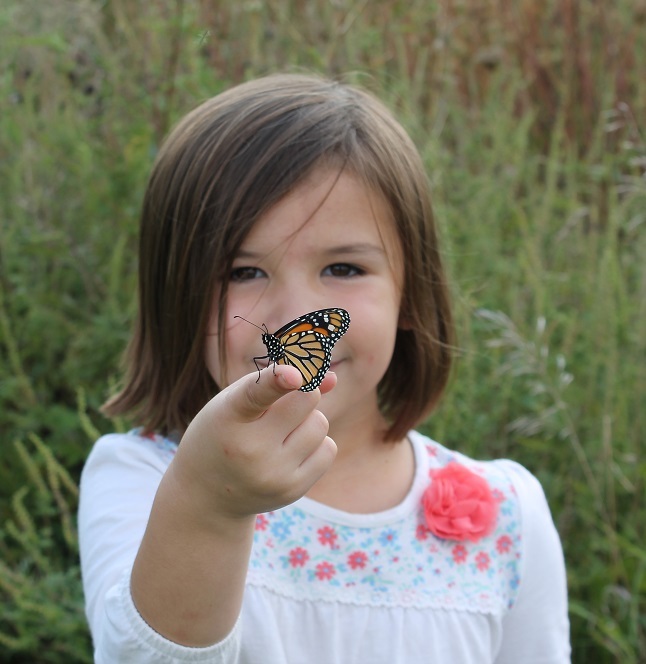 What is the Fox Valley Monarch Corridor? The Fox Valley Monarch Corridor extends over 975 acres and will include the establishment and restoration of 10 multi-acre natural areas and hundreds of “stepping stone” sites on private land that will connect the breeding and migration habitats of monarch butterflies and other pollinators. While these larger natural areas are obviously key, another vital component of our effort is linking the bigger tracts together through the creation of pockets of habitat. That’s what The Conservation Foundation’s Conservation@Home and Conservation@Work programs are all about. We will be working diligently to engage more residents, business owners and organizations in these programs by encouraging them to use native plants, reduce their mowing, watering and chemical use, and especially to plant milkweed! Milkweed is essential for monarch survival as their main food source and where they lay eggs. We can all do something to help monarchs and other pollinator species. Planting milkweed and other native plants in our yards is one of the biggest ways we can give these species a helping hand. If you need some assistance, we are here for you! And if you are already using a lot of sustainable landscaping practices, you deserve to be recognized for your efforts through Conservation@Home or Conservation@Work certification! Click here to visit our Conservation@Home getting started page as a great jumping off point or call us today with questions or to schedule a home visit at 630-428-4500.